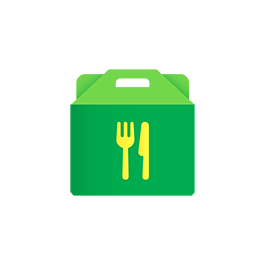 Earn more on your own schedule by delivering GrabFood orders to hungry customers. With millions of customers in Singapore, we process thousands of orders each day. Delivery-partners, like you, help ensure hungry customers get their food fresh. Earn competitive rates as you help deliver food to hungry customers. You call the shots. Schedule your own working hours – even if it is an hour or a day. Deliver by bike, PMD, bicycle or on foot – the choice is yours. You delivered it, you earned it. You’ll get the option to cash-out your earnings once a day. Sign up and submit your details. Collect your delivery-partner kit at our branches. 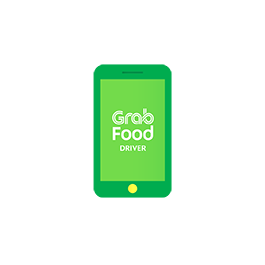 Sign in to the GrabFood Driver app, start delivering orders and earn! How do I earn money as a GrabFood Delivery-partner? 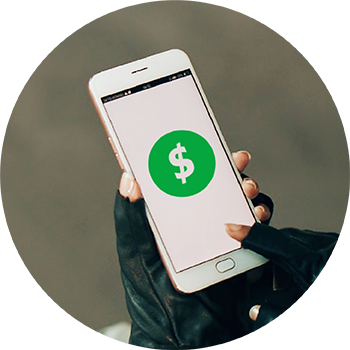 A GrabFood Delivery-partner gets paid a fixed amount per trip plus incentives as part of his take home pay. What do I need to become a GrabFood Delivery-partner? A strong back and a desire to keep fit if you decide to be one of our walking delivery-partners! How do I become a GrabFood Delivery-partner? Start delivering orders and earn! How many hours do I need to work per week as a GrabFood Delivery-partner? You can decide how much or how little you want to work. 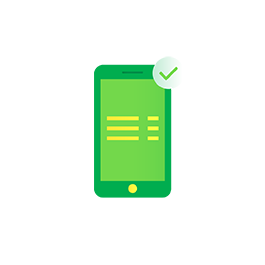 Simply log into the GrabFood Driver app and deliver at a time of your choice as you do not need to book sessions in advance! Financial freedom is not far away. You can cash out your earnings once a day! Can I only work in certain areas in Singapore? Yes, you can decide on which parts of Singapore you will want to deliver as long as it is within our GrabFood service coverage. Simply go to the area and sign in! 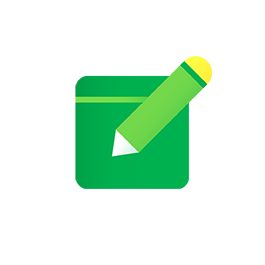 Yes, GrabFood will reimburse ERP charges incurred by the Delivery-Partner on route from restaurant to eater. Claims will be done via an online form. More details will be shared after onboarding. 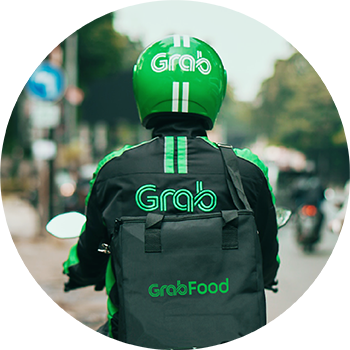 What equipment do I need to partner with GrabFood? With effect from 22nd March 2019, we will be implementing certain equipment requirements for ALL riders partnering with us. If you are delivering with GrabFood, you are required to use our available gear sets as recommended, including our GrabFood branded shirts, thermal halal bag and thermal delivery backpack / sling bag– depending on your vehicle type. For more information on equipment requirements and gear sets distribution, you may refer to https://www.grab.com/sg/gfgearcompliance/. Do I have to pay a deposit to get the GrabFood thermal bags? Yes, for certain vehicle types. With effect from 16th October 2018, we will be collecting a $50 deposit for Bicycle, PMD and Walker delivery-partners. A deposit is NOT required for Motorcycle and Car delivery-partners. 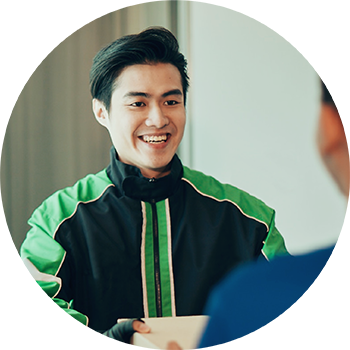 Can I deliver with GrabFood if I am currently driving with GrabCar/GrabTaxi? No. If you are an active GrabCar/GrabTaxi Partner, you cannot deliver with GrabFood as a delivery-partner regardless of the vehicle type you plan to use. 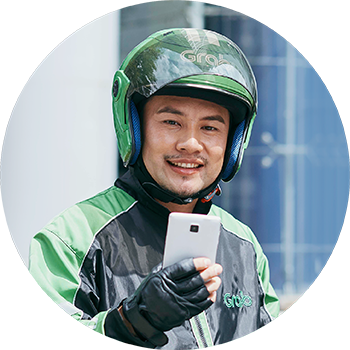 Can I deliver with GrabFood if I used to drive with GrabCar/GrabTaxi? We will review applications from ex-GrabCar/Taxi drivers on a case-by-case basis and we advice you to write in to us first via our GrabFood Help Centre (https://help.grab.com/hc/en-sg) to determine your eligibility.